…And some of them just aren’t true! According to the latest research from leading independent job board, CV-Library, while almost half (45.5%) of professionals believe there are set rules you should follow when job hunting, the majority (77.7%) say that no one has ever taught them what these rules are. The survey of 1,100 UK professionals found that over two thirds (69.9%) of Brits admit to feeling confused about the job hunting process, with 64.5% stating that they were never taught how or where to look for a job. True and False – While you should aim to broaden your horizons and apply for the jobs that interest you, try to focus on quality over quantity to get the most out of your job search. False – So long as you can demonstrate that you have the right attitude and transferable skills for the job, you don’t necessarily need to have industry experience. True and False – Employers want the best cultural fit for their organisation, sometimes that’s the most skilled candidate, sometimes it’s about potential. False – A unique design could help you to stand out, but equally, be off putting! It’s better to stick with a clear layout that’s easy to read, using a traditional font such as Arial or Calibri. False – Arriving too early to an interview is a big no-no and may annoy your potential employer. Instead, aim to arrive around 5-10 minutes before it’s due to start. False – Limiting your CV to one page won’t leave enough room to include all the relevant information. That said you should aim to avoid anything longer than two pages. False – Your previous jobs will give you a transferrable skill set, which you can utilise in your next venture. So if you want to move industries – go for it! True and False – While entry-level candidates should be more careful when negotiating an offer, it doesn’t mean it should be ruled out – particularly if you feel it doesn’t match your value. False – Nowadays, there’s plenty of options for individuals that don’t want to do a degree. Apprenticeships, for example, provide valuable training and experience. True and False – While most people start their job search online, you can also find a job through networking or at events. “Job hunting isn’t always an easy process and can be stressful. Especially if you think that there are set rules you should follow, which in reality, may not be 100% correct and could be holding you back! 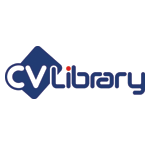 If you’re looking for help with how to write a CV, job interview tips or even a complete guide to writing a cover letter – check out the CV-Library career advice blog .